The teen years are filled with questions: What do I want to do with my life? Who will I be? How can I get there? As parents you can help steer your teen toward their destiny, and the summer months are prime time for testing the waters. Here are some ways to help your kids experience an enriching but fun summer without emptying your bank account. Nobody wants to have a reason to use life-saving techniques, but it’s better to be prepared just in case. Sign up for a course through your local Red Cross or American Heart Association. Don’t have a Red Cross or an American Heart Association nearby? You can order a CPR Anytime toolkit and learn CPR at home. Seeking a job and gaining employment is a great experience for your teen. Putting together a resume, going after opportunities, dressing for the interview and learning to deal with inevitable rejections can make future job-seeking less intimidating. Because unemployment rates are highest for teens, your teen might prefer to start her own business, whether she offers a service like babysitting or an online venture selling homemade products. Help her come up with a plan she can feel excited about and give her the support she needs, but let her take the lead. Volunteering is a great way for your child to find their passion. It’s best to let your teen decide what he wants to pursue – an extra pair of hands for a veterinarian, mechanic, outdoor theatre – as long as he can prove it will be a safe environment. Make him do the legwork so he has a chance to show initiative, but be supportive by giving him a few contact numbers of people you trust. Can your teen change the oil in a car, cook a healthy meal, manage his online bank account, and do the laundry without turning anything pink? Granted, most teens won’t be excited about learning what they see at first as “chores;” but you can be assured that he will come away feeling more self-confident for everything he learns. 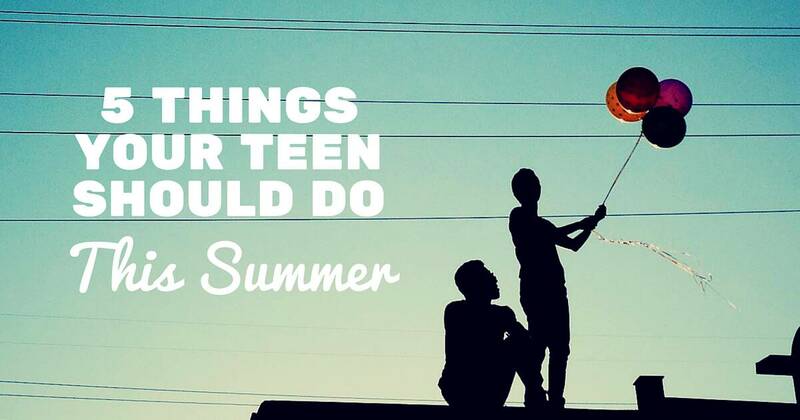 Summer should be a time of rejuvenation and inspiration, and for teens it might be the last lingering days of childhood. Make sure she has adequate time to relax, read, and have fun. If the school months prepare a teen for college, the summer months prepare him for life. In fact, how your teen spends his summer can have a greater impact on his life than any school textbook ever will.